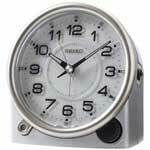 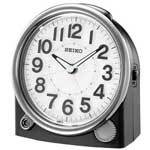 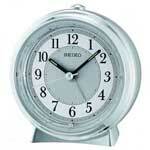 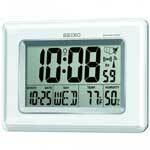 We offer a complete selection of Seiko Alarm Clocks, Seiko Travel Alarm Clocks and Seiko Atomic Alarm Clocks. 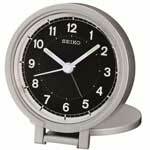 If you are looking for a non-ticking alarm clock, look for the "Quiet Sweep" alarm clocks. 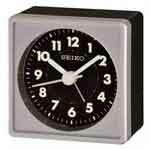 The second hand on these clock move in a continuous motion and are non ticking.